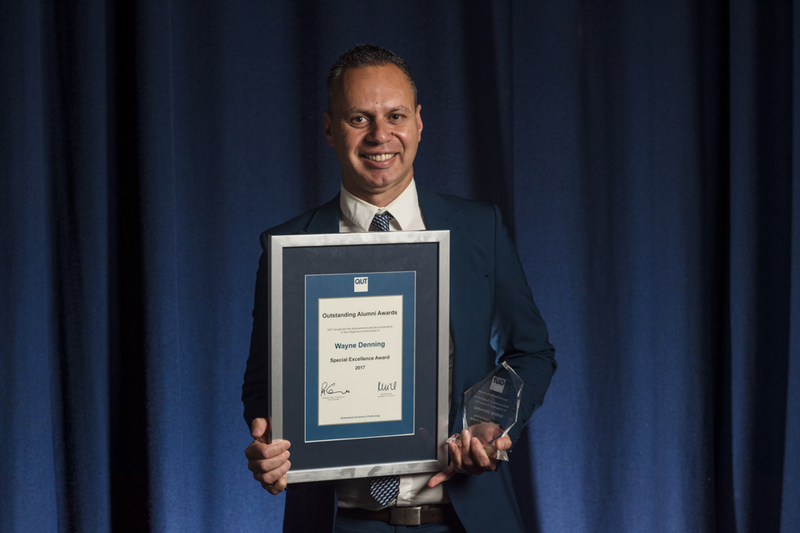 Founder of Carbon Creative, a creative agency designed to give a positive voice to Indigenous Australians, Wayne Denning has been named a Special Excellence Award winner at the QUT Outstanding Alumni Awards in Brisbane today. Mr Denning is a proud Birri Gubba man, from Blackwater, who left a successful career in Federal Government, to complete his MBA with QUT in 2006. Carbon Creative was founded that same year, and was created and established over four years in QUT’s Creative Enterprise Australia incubator. 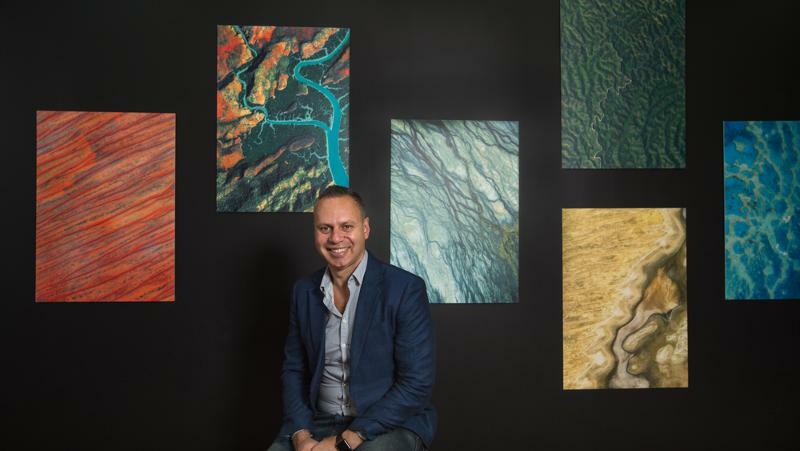 It grew into a staff of 30, doing documentaries, Indigenous-themed commercial work, and children’s shows for the National Indigenous Television Channel, ABC, SBS, corporations and governments. Mr Denning has overseen the production, as executive producer, of many television programs and series, including 5 Kangaroos for Sesame Workshop, Handball Heroes for ABC3, children’s game shows Go Lingo! and Letterbox for NITV. He has also overseen ABC3, documentaries Intune, Blacktracks, From the Ashes and ProppaNOW and the multi-platform, ground-breaking documentary series First Footprints for the ABC. As owner, managing director and executive producer, Mr Denning oversaw Australia's first Indigenous children's game show Letterbox and took Australian and Indigenous culture to the world with Sesame Street in 2013.The segment featured Jessica Mauboy, Indigenous children and animated kangaroos. Carbon Creative was the first Australian company to work with Sesame Street, and the segment has had 780 million views, in 140 countries. Mr Denning has a host of television projects under way, is developing apps for television shows and websites, and is working on corporate social change initiatives.